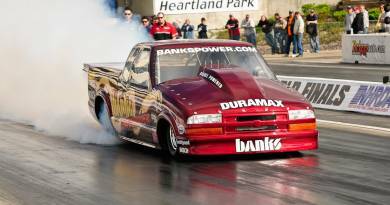 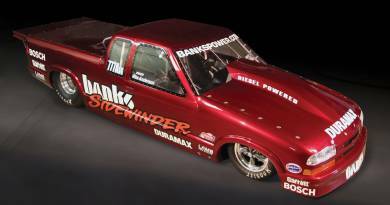 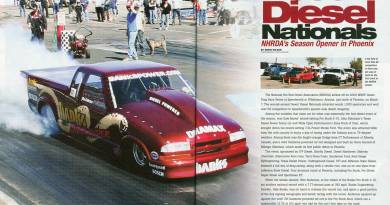 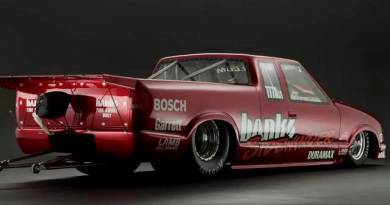 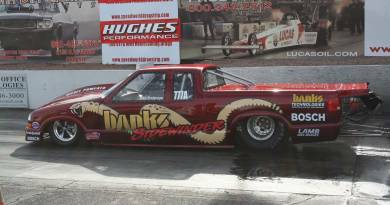 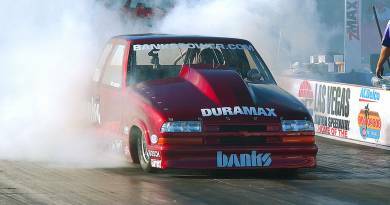 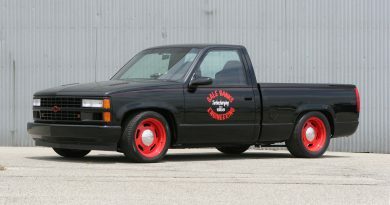 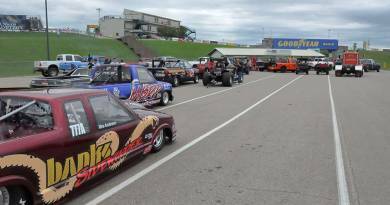 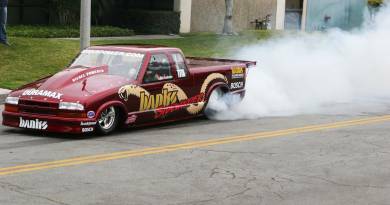 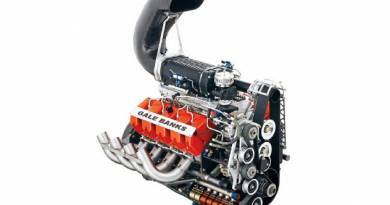 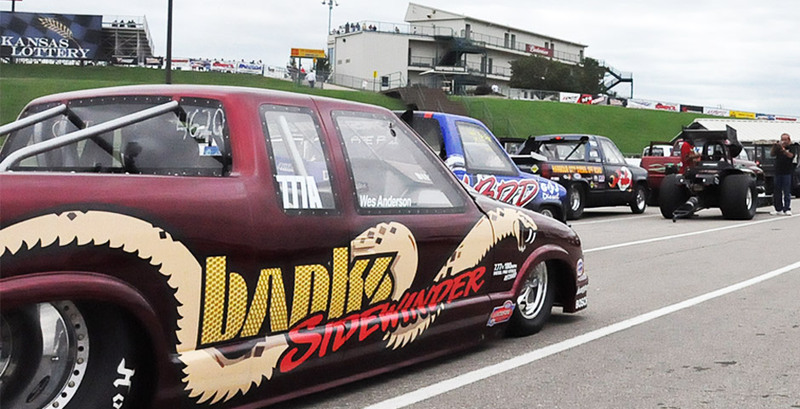 …The Banks Sidewinder Chevy S-10 is quite simply the best-known diesel pickup in drag racing today. 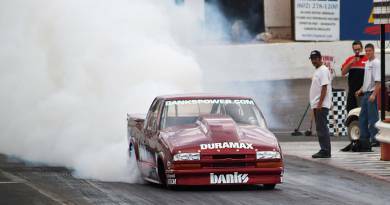 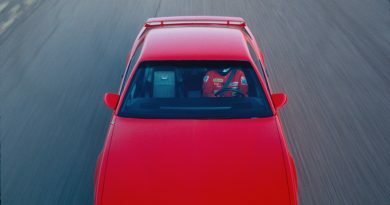 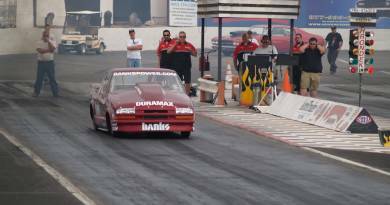 With its incredibly powerful Banks-modified 6.6 liter Duramax diesel V-8 belting out 4-digit horsepower numbers and an equal ration of tire-twisting torque, this dark red racer has set and re-set quarter-mile records almost every time that it has taken to the track, and it’s still going strong! 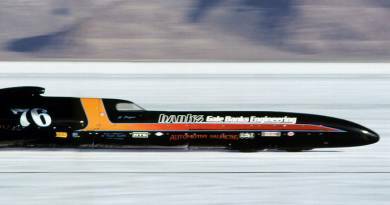 But speed records are only part of the story of what this machine means, and what Banks learns from every step of a project like this one. 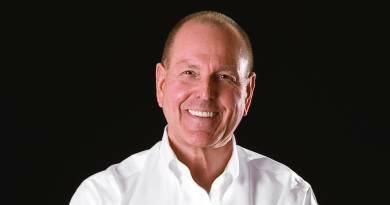 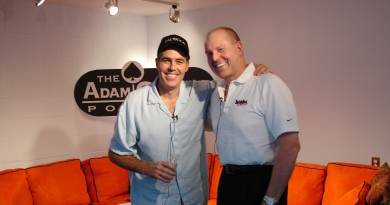 Teamwork, technique, and tenacity are all given a rugged, real-world workout, and all benefit from the exercise. 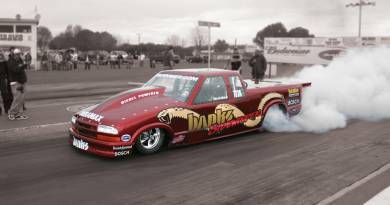 From the earliest flash of an idea way back in 2005, to the final record run of the day, every moment of this S-10’s life has provided Banks with engineering data that continually yields valuable knowledge about high efficiency, superior durability, and extreme performance. 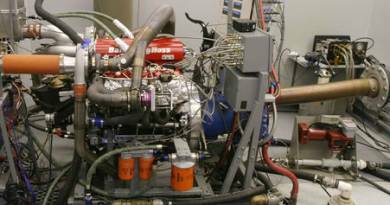  The benefits of all this tough, high speed research quite are evident in the quality of the products which Banks builds. 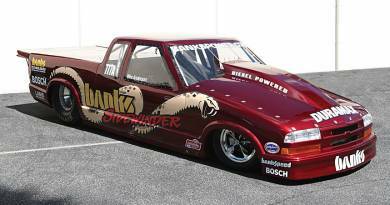 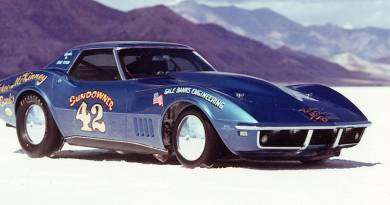 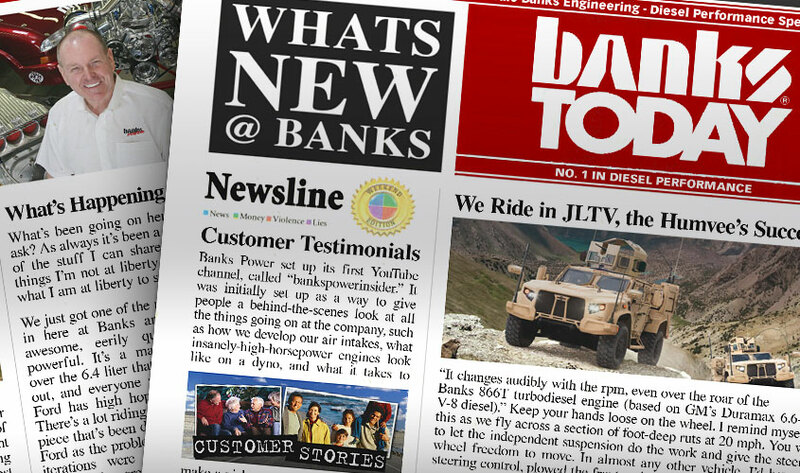 Sure it’s one cool race truck, but that’s just the beginning of the story at Banks Power. 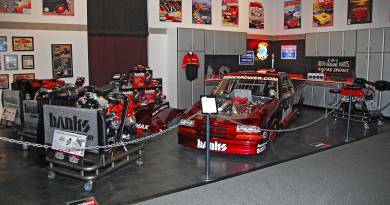 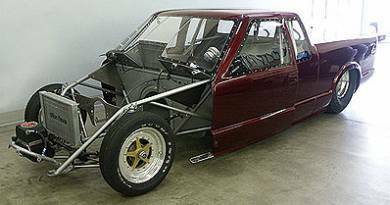 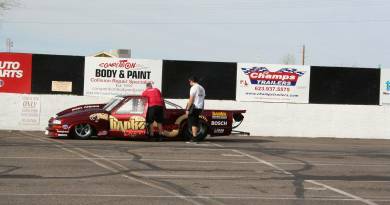 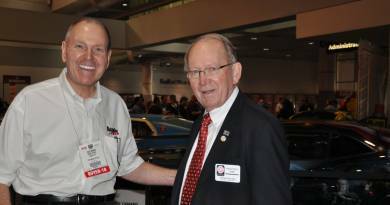 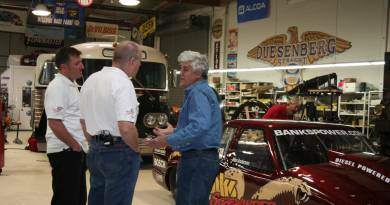 Why Did We Start the Project with an S10 Pro Stock Truck Body Chassis?